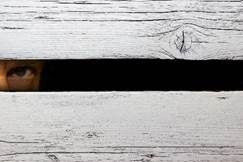 Trusts For Privacy | The Levin Law Firm - Philip Levin, Esq. Trusts can be designed to completely avoid the costs and delays resulting from probate, which is a public process to change title of assets from a deceased person to the new recipient. Trusts can also be designed to reduce both inheritance and income taxes. In the Elder Law arena, our clients often use irrevocable trusts in order to qualify for Medical Assistence. Asset Protection. Assets distributed in trust can provide loved ones with asset protection benefits, as long as distributions are in the trustee’s discretion for the health, education, maintenance, and support of your beneficiaries. Asset Management. A trust can be useful to provide investment advisory services for beneficiaries who are unable or unwilling to manage inherited assets for themselves, such as minor or immature children, and for a spendthrift person. Divorce Protection. By leaving specific assets in a trust, inherited property will not become comingled with your beneficiary and his or her spouse’s assets. As a result, trusts provide excellent protection in the event that your in-laws become the out-laws, resulting from one or more of your children going through a divorce. Special Needs Protection. Assets for a beneficiary who has a mental and/or physical disability, and who is currently receiving, [or expected to require public benefits in the future], can be placed into a Special Needs Trust. As a result, property you desire to be earmarked for the benefit of a special needs person will not jeopardize having their public benefits reduced or completely terminated, which often occurs when a person with special needs receives an outright inheritence of property from a parent or another relative. In addition to each of the above wonderful reasons why clients often establish both Lifetime and Testamentary Trusts, unlike a Will, or dying intestate, without an estate plan, [both of which would fully expose individually owned assets to the probate system], a trust completely avoids the costs, delays, and publicity of a formal probate proceeding with the local Orphans’ Court. In fact, the privacy which a trust affords is one of the key reasons trusts are used by many people who guard their privacy zealously, including celebrities. For example, when comedian Garry Shandling died in 2016, he left a probate estate with a net value of less than $669,000. However, it is strongly suspected that Shandling left a trust which held the majority of his other assets. Here are links to stories about Shandling’s death and estate. Of course, we will never know how much Shandling left through trusts, because of the privacy that trusts provide, and since trusts are never exposed to the probate process. 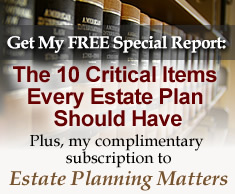 If you do not want your friends, neighbors, and all of your family relations to know about the nature and extent of your assets in the event of your passing, along with exactly how much and who will receive your property, a trust may be just the right estate planning strategy to protect your personal privacy, and also make certain that your assets are distributed in the proper manner to your loved ones.